Rio Paralympic gold medallist Mariyappan Thangavelu was on Tuesday named as flag-bearer of the Indian contingent for the 3rd Asian Para Games to be held in Jakarta from October 6-13, PTI reported. Mariyappan, when he five years old, was involved in an accident in his village in Salem (Tamil Nadu), a bus swerved off the road and ran over his right leg, crushing it below the knee. India will field its biggest ever contingent of 302 members including athletes, coaches, support staff, escorts and officials. 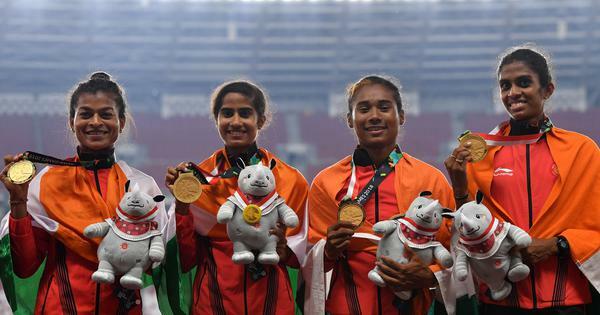 The Indian contingent were initially denied entry on Monday when they arrived at the Games Village as the Sports Ministry had not till then cleared funds to the tune of USD 2.5 lakh. However, the issue was later resolved.